With many world-class ski resorts, Japan is one of the top destinations in the world during winter. It is home to several majestic mountain ranges that transform into spectacular skiing and snowboarding spots from December to April. There are numerous ski resorts found all over Japan, from the southern island of Kyushu to the northern region of Hokkaido. These places are equipped with the necessary equipment and facilities to ensure the safety of all their guests. In addition to skiing and snowboarding, they also have areas for snow scooter riding, snow biking, and other activities. The costs at ski resorts vary. Rental of all your skiing or snowboarding gear may cost over 3,000 yen for poles, boots and skis. In some cases, prices may be as high as 5,000 yen just for a ski jacket, pair of pants, goggles and gloves. Many Japanese ski resorts offer passes guests may purchase for convenience instead of paying for items individually. They may have season passes, half-day passes, overnight passes, and multi-day passes at a discounted rate. The more popular resorts may cost an individual about 5,000 yen for a one-day pass. Some even have travel packages that cover transportation to and from a particular point, accommodation, and equipment rental. With its fine, white, powdered snow, there is no doubt why Niseko is considered to be the best ski resort in Japan. It is particularly popular among foreigners who want to experience skiing in the magnificent Japanese alps of the Hokkaido region. It is home to numerous ski trails, and also offers other snow activities such as snowboarding, sledding and snow biking. Located in Yamagata Prefecture, the Zao Ski Resort boasts top quality skiing areas. 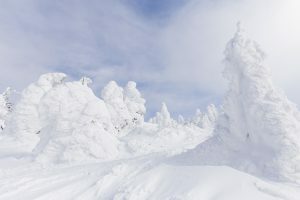 Also, it is known for its ice trees, which look like snow monsters, towering and imposing. Even though it is one of the oldest ski resorts in Japan, the Nozawa Ski Resort remains a top skiing destination. Founded in 1924, it boasts modern and up-to-date equipment that rivals the newer ski resorts in other parts of the country. One of its best features is its 39-degree incline that every diehard lover of snow sports will appreciate. Also located in Hokkaido, the Furano Ski Area is a vibrant and lively ski destination during winter. It offers a wide array of snow activities for everyone, such as dog sledding, snow rafting, parasailing and snowmobiling. It also has a Family Snowland, an attraction where families with young children can spend quality time together. 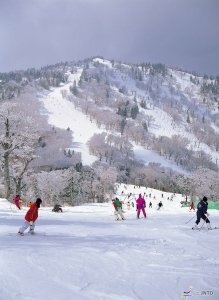 Consisting of 21 ski resort areas, the Shiga Kogen Resort is the largest skiing destination in Japan. It is situated in the mountains of Nagano Prefecture and was the venue for some of the snow competition events during the Nagano Winter Olympics back in 1998. 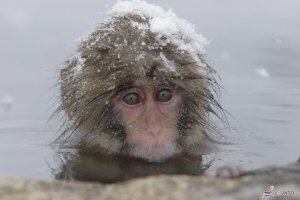 In addition to its excellent ski trails, it is also home to some of the best onsen in the country. 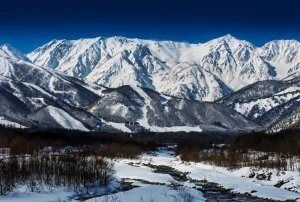 Home to many large ski resorts, Hakuba is a popular skiing destination located in Nagano Prefecture. Because it is situated in the Northern Alps, it offers high quality ski slopes and areas. It first became internationally recognised when it hosted various events, such as the Nordic and alpine competitions, during the 1998 Winter Olympics in Nagano. 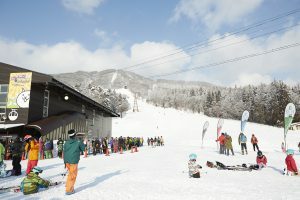 Rusutsu is a huge area for ski lovers and has three mountains with plenty of trials. There is a hotel complex which is linked by monorail. There is plenty of other attractions when you’re off the slops so make sure you check it out. 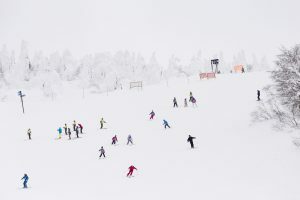 One of Tohoku region’s best skiing destinations, Appi Kogen lies in the Appi Highlands, with amazing terrain that is perfect for snowboarding, skiing and a wide variety of snow activities.